‘When I’m at home, I’m probably going to be playing on my Xbox One console, and we believe millions and millions of people will still want to do that. Microsoft has not revealed any details of the pricing for the service, but is expected to offer it as a monthly subscription. Spencer also addressed speculation the service could eat into Microsoft’s console sales. ‘It’s not cannibalistic, people will play more,’ he said. 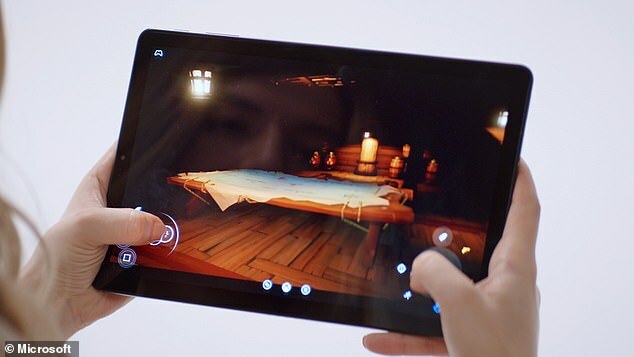 Kareem Choudhry, Corporate Vice President, Cloud Gaming said he believed the time was right for a streaming service, with Amazon, Apple and Google all developing rivals. The service will compete with Google’s ‘Project Stream’, a game streaming service that is being tested in partnership with game publisher Ubisoft . Amazon is also believed to be developing its own cloud gaming service, and has been developing games through its own internal studio, with Apple also rumored to be working on streaming. Microsoft for the first time showed the service working live. 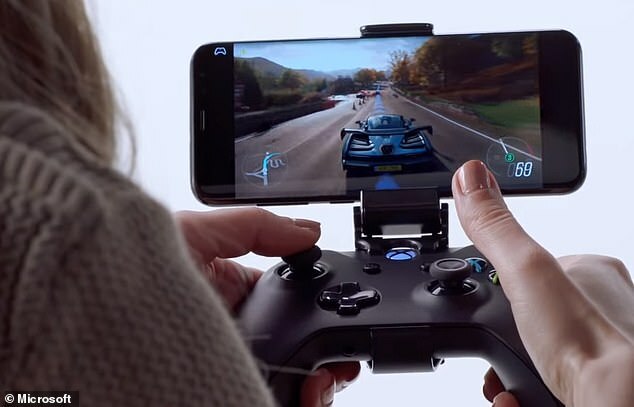 Forza, Crackdown and a platform game called Lucky’s Tale were demonstrated on phones and tablets, with no discernible lag. Games were played using an Xbox controller or on screen joysticks, and the games looked smooth and fast. Microsoft also revealed the latest version of the specially designed Xbox servers, each of which contains the equivalent of eight consoles. 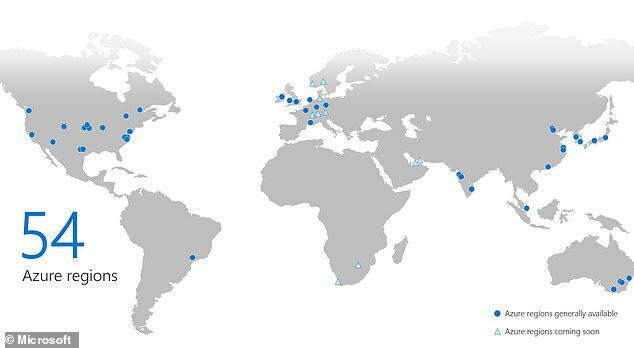 Microsoft has also installed the servers in the Quincy data center close to its Redmond HQ. Choudhry said the firm will begin public trials of the system this year, and is expected to reveal more details of the plan at the E3 gaming conference in Los Angeles in June.